Good friends. Bike Fest. A loose tooth. Word of Wisdom. Chapter books. Watercolor paintings. Picking apples. Junior Olympics. Great Persons report. Makerspace. During these early years of education students develop a love of learning while building a solid academic foundation. 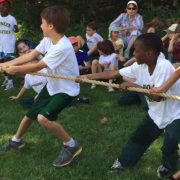 Integrating innovative and traditional educational practices are the hallmarks of our successful Lower School curriculum. This is a place where your child is nurtured, and where your child is known and valued as a unique member of our family-like community of learners. Children explore ideas and learn from each other in combined grade-level homerooms. Teachers partner with parents to support students’ budding independence and help them identify how they learn best. Small-group instruction in the core content areas of reading and writing, mathematics, science and social studies allows for the full participation of each child. Woven in and out of all the subject areas is the Science of Creative Intelligence (SCI) curriculum. Cooperative groupings emphasize communication and collaboration skills. 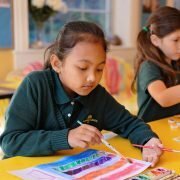 Classes in art, computers, greenhouse/cooking, music, makerspace and physical education round out a stimulating and invigorating schedule that encourages ownership of learning, independence, and most of all, fun. When students are explicitly taught the skills and strategies of proficient reading and writing and are invited to live as richly literate people do, carrying books everywhere, bringing reading into every nook and corner of their lives, the results are dramatic. It is the goal of our teachers, using the Lucy Calkins “Units of Study” curriculum, for our students to experience the joy of learning through becoming better readers and writers. 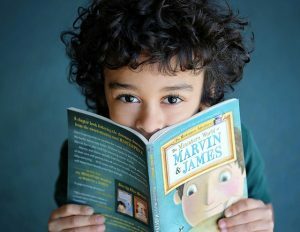 The Teacher’s College Reading and Writing Program (TCRWP), as created by Lucy Calkins is taught in hundreds of schools across the country, and has given young people extraordinary power, not only as readers and writers, but also as thinkers. Implementing this program in the fall of 2017 has been transformational for our students. Reader’s Workshop includes habits of good readers, fiction, nonfiction, critical informational text skills and study of characters. During Reader’s Workshop, students read, write, discuss, are read to, work on vocabulary and comprehension, and choose just-right books. Readers receive one-on-one instruction, based on needs and goals. Writer’s Workshop provides opportunities for students to exercise writing skills that support their ability to communicate ideas, thoughts, and perspectives. This includes developing the habits of good writers, the art of informational writing, opinion/argumentative pieces, and narrative writing. The books are colorful and engaging—math is fun! That is what students want. Using the McGraw-Hill My Math series, students are challenged in a way that inspires them to embrace the power of mathematics through real-world applications, and experience just how fulfilling math success can be. 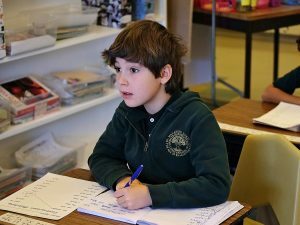 The progression of knowledge taught in grades one through five, using My Math and beginning in grade 6 Glencoe Math, uses a research-proven approach to learning that takes a student from first through eighth grade. This framework is the perfect foundation for rigorous standards. By weaving the three components of rigor— conceptual understanding, procedural skill and fluency, and application—throughout the program, My Math enables students to progress toward a higher level of achievement and steadily grow in math confidence. Teaching involves keeping students motivated and engaged. Learning the “big idea” of a lesson and breaking that lesson into small parts is a primary teaching tool used at Maharishi Lower School. A key feature of the My Math curriculum is that each chapter is organized around an Essential Question that is clearly identified throughout. In every lesson, students build on their knowledge to answer that important question. An example from a first-grade unit on “Time to the Hour” is: “How do I determine length and time?”. Students learn the “big idea”. No two students learn alike. My Math is designed for personalized instruction. Students arrive at their “a-ha” moments at different times and in different ways. Teachers have access to differentiated instruction strategies that allow them to address students who are “on level,” “approaching level,” or “beyond level.” There is also a strong ELL component. My Math also offers visual/spatial, kinesthetic, aural, verbal, and social learning opportunities. The links between each medium help students relate to math in the learning style that makes sense to them. It is widely accepted that children learn science concepts best by doing science. Meaningful active learning experiences are motivating for students, and stimulate inquiry and curiosity. 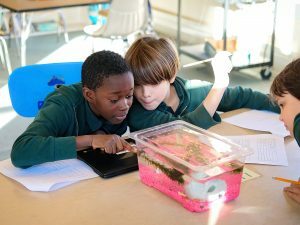 For these reasons, our Lower School has adopted the FOSS Next Generation program which is committed to providing the best possible materials and the most effective procedures for getting students deep into scientific concepts. Students are encouraged to investigate, experiment, gather data, organize results, and develop conclusions based on their own actions. This enhances their development of scientific ways of thinking. FOSS investigations are guided by questions including, “What’s in this world?” and “How does it work?” In pursuing answers, students usually start with the exploration of materials, followed by a discussion of their own discoveries. Often new questions arise while students seek answers, leading to additional student-motivated inquiries with materials to reinforce and extend concepts. 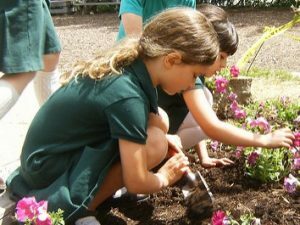 By using FOSS kits loaded with hands-on resources, living plants and creatures, all of the five senses are used to promote greater scientific understanding. FOSS investigations naturally use multisensory methods, and cover the three strands of Earth Science, Physical Science, and Life Science. Examples of units in Earth Science include: Sound & Light, Mixtures & Solutions, and Energy. Physical Science can include: Air & Weather, Pebbles, Sand & Silt, and Earth & Sun. Life Science examples are: Insects & Plants, Living Systems, and Environments. As the FOSS curriculum sequentially progresses, over the years students develop more sophisticated ways to think about the core ideas of science. Modules are all connected and build upon one another, moving students toward the big ideas of science. Social sciences, humanities, and history. The National Council for the Social Studies describes the primary purpose of social studies is to help young people develop the ability to make informed and reasoned decisions for the public good as citizens of a culturally diverse, democratic society in an interdependent world. In the Lower School, we are in the process of adapting our curriculum to be aligned with the newly- adopted K-12 Iowa Core Social Studies Standards. In grades 123, the following Standards are covered. Communities & Culture: Students explore the culture of their own communities, including school and town. Choices and Consequences: Student learn about choices and consequences. They engage in thinking and conversing about their own responsibility to take care of their community, focusing on cooperation and citizenship. In grades 4 and 5, the following Standards are covered. Immigration and Migration: Students study how and why people move from one place to another with the theme “Immigration and Migration.” Students look at the geographic, political, and cultural reasons that people move to a new place as well as what they experience during the transition. They understand that a society is a complex and changing place shaped by laws and the civic virtues of the citizens who live there. Change and Continuity: Students focus on how society has changed and stayed the same over time. Students see how change is inevitable and the patterns and consequences of change across different historical eras. 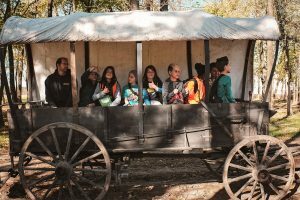 Activities and Themes covered include: Geography of the United States, Americans and Their History, People and the Land, with a focus on Pioneer life. In grade 6, the following Standards are covered. Rights and Responsibilities: Student learn about how the Founding documents in the United States were developed and how these documents guide decisions. Students explore the multiple perspectives people have regarding their rights and responsibilities. Activities and Themes covered include: Ancient American Civilizations, Daily Life in the Colonies, The American Revolution, American Government and how a New Nation is created. To enrich our social studies with the lives of great people, each year in grades 456, students pick a great American person to research. This project-based unit includes a choice of how to present the findings, including creating a movie poster, a skit, puppet show, live news report, time line or a picture book for younger kids. In grades 456, we use My World Social Studies textbooks. The structure is similar to the Lower School Math curriculum, where Essential Questions provide a larger framework to guide students and help them see the “big idea” of each chapter. By having the “big idea” woven throughout each lesson of math, social studies and SCI, students gain a deep familiarity with knowledge learned. The Essential Questions help students to connect to the content by activating prior knowledge, by experiencing information through meaningful hands-on activities and by transferring their knowledge to new learning situations that demonstrate understanding. Studying the 16 Principles of Creative Intelligence in grades 123 and the Fundamentals of Growth in grades 456 provides a new way for students to see all the parts of learning contained within the bigger picture. In today’s global world, these timeless and universal principles inspire deep thinking and creative problem-solving. The ability to take what seems to be an insurmountable task, and break it into manageable pieces, is a skill all successful students possess. By embedding these principles and fundamentals throughout the curriculum, students learn to think empathetically as well as critically, open their awareness to many perspectives, and persevere in resolving problems while embracing unsuccessful attempts as an opportunity for growth and learning. This unique approach to learning helps students see themselves in what they are learning, helps them to feel the connection with themselves to the natural world, and empowers even the youngest student to think big, and feel they are part of a global society. Students are divided into four main classrooms within the Lower School. With an average of 16 children per grouping, students are placed in one of the following classrooms: 123 Boys, 123 Girls, 456 Boys or 456 Girls, depending on age. In one of these four mixed-level classrooms, children develop a sense of belonging to a “family of learners” who support and care for each other. A strong sense of community is cultured and teachers recognize each child’s unique contributions to the classroom. The older children are encouraged to take on leadership roles in the classroom, and younger children are encouraged to seek out the help and support they might need from older children. Teachers facilitate the development of relationships across all age levels. However, most of the academic day is spent in single grade level, coed groupings (i.e. all 4th graders are grouped together). This is done for reading, writing, and mathematics. It is in these core subject areas that the sequence of instruction is critical to student progress. In social studies and science, we use the mixed-level groupings for grades 123. For grades 456, we group grades 45 together and grade 6 by itself. Mixed-level groupings are only for a small portion of the day, and occur a few times/week in the special areas of SCI, PE, art, music, greenhouse, makerspace and computer lab. A unique feature of these family-like homerooms is that they are single gender, giving an opportunity during the day for groups of girls to have a space of their own, and for boys to have their own space. In these settings, children are not labeled according to their ability, and children learn at their own rate. By offering open-ended materials, teachers can challenge children at many different developmental levels. Also, in the mixed-level groupings, students are also more likely to cooperate than compete. The spirit of cooperation and caring makes it possible for children to help each other as individuals, not see each other as competitors. Teachers and students really appreciate how older children model more sophisticated approaches to problem-solving, and younger children are able to accomplish tasks they could not do without the assistance of older children. Children are invited to take charge of their learning, by making choices with project work. This sense of “ownership” and self-direction is the foundation for lifelong learning. Our Lower School music program introduces the students to the basic building blocks of music theory/ performance. Through games, they learn about intervals, scales, chords, ear training, basic musical reading and sight singing. 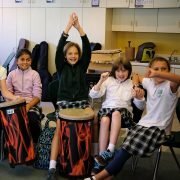 Through our use of African drums, the students learn how to improvise, develop a better sense of rhythm, learn how to work together as an ensemble and enhance their musical memories. Through our Physical education program students learn that good health comes through exercise, and that exercise can be fun. We stress the value of recreation and fresh air. The numerous games we play naturally encourage skill development and the importance of teamwork. The program seeks to help students achieve active and healthy lives. 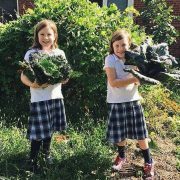 Our Lower School Garden of Bliss showcases the Seed-to-Table curriculum, where students are making real-world connections to the food they eat. 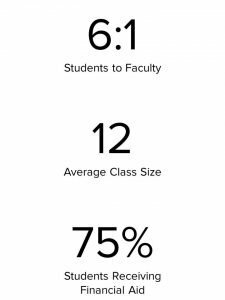 Our students work within a 4100 sq. ft. space which includes a three-season greenhouse, vegetable and flower gardens, and fruit tree orchards. Children learn about composting, the benefits of solar energy and how a pollinator garden can help revive the health of bees, butterflies, birds, bats and other pollinators. In the fall, from the greenhouse to the kitchen, children prepare, cook and eat the food they planted in the spring. Learning to live a healthy lifestyle begins at an early age! During weekly art classes, students have an opportunity to grow in their appreciation of the arts, while also creating their own art. Art and design is taught through drawing, painting, collage, ceramics, fiber arts, and photography. Lower School students have their own art classroom with access to the photography lab and darkroom, as well as the ceramics room and kiln. Every quarter, showcase events feature the artwork of students, allowing others in our community to view their work and validate the student experience. Our beautifully designed and colorful 21st century Makerspace classroom allows for independent and collaborative creative activity. Materials and processes range from low-tech to high tech—from legos and building to robotics and coding. Many schools have decided to join the “Maker Movement” and our Lower School is a leader in this innovative space. Students of all skill levels experiment, invent, create and explore STEAM education (science, technology, engineering, art, and math) through the use of tools, equipment and materials. In our Makerspace, students develop a maker mindset, learning to create something out of nothing. They love developing their skills and imagination to think deeply, to make their own ideas come alive, and engage their own creativity. Students become budding inventors, artists, entrepreneurs, and crafters. In 2016, our Lower School was the proud recipient of an Iowa Governors STEM Scale UP Award, called Making STEM Connections for its one-year-old Makerspace. The School received close to $5,000 worth of new materials, including a 6-drawer tool chest loaded with tools, robotics equipment, six Makey Makey’s and 16 hours of professional development for our teachers. Students have a choice in the Makerspace of working in one of seven distinct areas. Below is a brief description of each space. The Tinker Table is where makers learn how electrical circuits work and how to connect wires, batteries, and alligator clips to make projects move, make a sound, or light up. Students explore simple principles of circuitry. Tinkering is about hands-on experiences, learning from failures, and unstructured time to explore and invent. The goal of exploration and invention lies in the potential for innovation. By experimenting, kids begin to understand how things work and how to iterate on their learning to find even better solutions. The create robots, boats with propellers, inventions with buzzers, detectors and spinning parts. Using a wide assortment of recyclables donated by contributing parents, students use what they have on hand to make something new and original. They consider what is available, draw out their design ahead of time and gather what they need. It is amazing to see what bottle caps, egg cartons, plastic cups, and tin cans can turn into! By crossing over into the Arts and Crafts station, children add those finishing touches with colorful beads and sequins, pipe cleaners, straws and popsicle sticks! 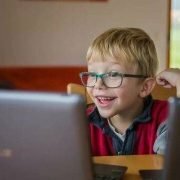 What is more fun than learning to code? Following basic curriculum guidelines, students learn simple systems of symbols and rules to tell the computer what to do. It’s easy enough for even first graders. Makey Makey is a simple invention kit for the 21st century, used by beginners and experts doing art, engineering, and everything in between. Students turn everyday objects into touchpads and combine them with the internet. Let’s say you upload a piano. Then, instead of using the computer keyboard buttons to play the piano, you can hook up the Makey Makey to something fun (and conductive! ), like bananas or Play-Doh, and turn them into piano keys. 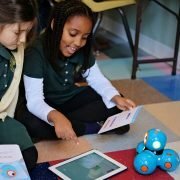 Dash and Dot: Dash is a highly responsive, real robot, who responds to voice, navigates objects, dances, and sings. Students use apps on the iPad like Wonder and Blockly, to create new behaviors for Dash and Dot. Dot, Dash’s sidekick is a clever little robot with multiple sensors and a quirky personality. Kids learn about robotics and develop fundamental coding and problem-solving skills while having lots of fun. Under the guidance of a skilled volunteer, students make projects using wood scrap pieces, pre-cut wood or collected natural materials. They learn to use real tools including hammers and drills, screwdrivers and saws. A skill progression is followed from learning to hammer a nail to using power drills and routers. Finished projects include birdhouses and castles, boxes and containers, wood burned signs and recycled robots. Sewing is a craft that involves stitching fabrics together using a sewing machine. Students learn to follow a paper pattern by pinning them into place on the fabric and cutting it out, then sewing the pieces together to create a finished garment or another item. In this space, they also can sew without a pattern, or learn hand stitching. Making puppets, costumes, backdrops, and decorations for plays, or something more practical like an apron to wear in the greenhouse are a few of the favorite projects. In this fun building area students can create almost anything using a bit of imagination, colorful legos and wood blocks. Simple KEVA planks create challenges to develop skills of engineering and basic architecture. The complex structures students build are sometimes taller than themselves! Learning to code is the main emphasis in Computer Lab for grades 1-3. Students work with Code.org, learning concepts such as algorithms, debugging, and looping. In addition to weekly sessions on the computer, they do “unplugged” lessons, which enable them to work with these concepts off the grid. Third graders are introduced to typing, with a highly entertaining website, called Dance Mat Typing. In grades 4 -6, students learn about online safety, identifying fake news (a form of information literacy), as well as coding, and creating online portfolios. A coding program used is Scratch, and all students are highly encouraged to use these websites at from home.